Center register has a diameter of 2.5 inches. Hays heavy-duty flexplates for high performance and competition engines are constructed of a thicker than stock steel plate, enabling them to withstand the stress of high-stall torque converters and today's high-RPM engines. While factory stock plates tend to crack around the crankshaft hub when punished under high torque and RPM conditions, the thicker Hays Flexplate handles the force. These H.D. 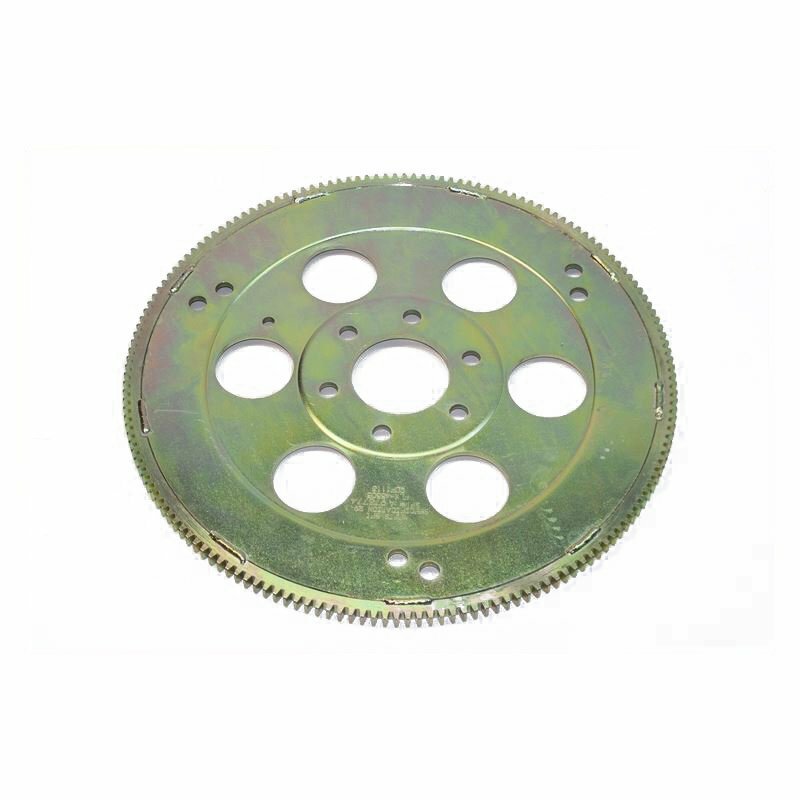 flexplates are supplied with a ring gear that is securely welded in place and feature dual bolt patterns for flexibility in adapting to multiple transmission style torque converters. All Hays heavy-duty flexplates are zinc-dichromate plated to resist corrosion and are SFI certified under specification 29.1. Gas and Diesel Truck applications coming soon!